Last week, the Iranian blogger Sasan Aghaei, who runs the site Azad Tribun, was arrested by intelligence ministry officials after they carried out a search of his Tehran home. It is not known where he was taken. Aghaei is also a reporter for the daily newspaper Farhikhteghan, and he’s the third employee of the paper to be arrested since the election. His two other colleagues, Reza Norbakhsh and Masoud Bastani, were both given six-year jail sentences. They are being forced to choose between saying nothing, speaking out and being jailed, or fleeing the country." This is just the latest troubling development in a country that is now the biggest imprisoner of cyber-dissidents in the Middle East. 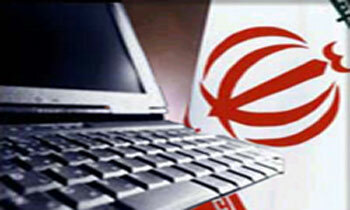 Currently, eight Iranian cyber-dissidents are in jail for expressing their opinions online. Among them, four were jailed after the disputed June 12 presidential election. At least 100 journalists and bloggers have been arrested since the election, and 32 are still being held. At the same time, roughly 50 other journalists have been forced to flee the country to escape the relentless repression. Back in August, Iran adopted a new cyber-crime law that gave the police free reign to crack down on the Internet, and they are taking full advantage of it in order to prevent government opponents from sharing information. So far, the police are blocking thousands of news websites, and putting people in jail. At one point, the regime described the news media as a “means used in an attempt to overthrow the state.” It’s therefore no surprise to see it ridding itself of these undesired witnesses by jailing them or forcing them to flee the country. Since June 12, at least 10 bloggers have been detained by the authorities. Hadi Heidari, a well-known cartoonist who edits a Persian cartoon website, was arrested in Tehran on October 22. He was attending a religious tribute to political prisoners at the home of Shehaboldin Tabatabai, a leading supporter of the reformist party Participation. Tabatabai was also arrested. Heidari was eventually released in November. Aside from him, Hassin Assadi Zidabadi, a blogger who also heads a student human rights committee, was arrested in October. 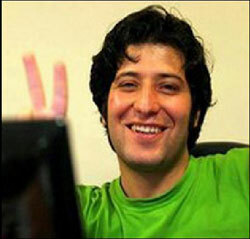 Mohammad Davari, the editor of reformist website Etemad Melli, is also in prison. His colleague, Fariba Pajooh, a journalist who also runs a Persian blog, was arrested on August 24, and is still imprisoned at the Evin jail after being summoned to the Tehran Revolutionary Court. The list of people detained and arrested in Iran grows longer every day. Bloggers are being targeted just as much as traditional journalists. Newspapers are now controlled by the regime. As a result, Iran is currently experiencing its biggest exodus of reporters since the 1979 revolution. Among the fleeing reporters and bloggers, many have been mistreated, tortured or jailed. They leave the country in order to avoid physical violence or another arrest. Most of them escape with the help of smugglers, a process that exposes them to great danger. In the countries where they initially seek refuge, such as Turkey, Iraq or even Afghanistan, they are exposed to more harassment and police surveillance. The current campaign of brutality, intimidation and censorship in Iran is slowly but surely thinning the ranks of the country’s independent journalists and bloggers. They are being forced to choose between saying nothing, speaking out and being jailed, or fleeing the country. In truth, that’s no choice at all. In light of the reporters’ exodus, Reporters Without Borders is launching an appeal for financial support for these journalists and bloggers. You can learn more and do your part here. Clothilde Le Coz has been working for Reporters Without Borders in Paris since 2007. She is now the Washington director for this organization, helping to promote press freedom and free speech around the world. In Paris, she was in charge of the Internet Freedom desk and worked especially on China, Iran, Egypt and Thailand. During the time she spent in Paris, she was also updating the “Handbook for Bloggers and Cyberdissidents,” published in 2005. Her role is now to get the message out for readers and politicians to be aware of the constant threat journalists are submitted to in many countries.